COMMENTS: John and his family left Alachua County, FL, in late 1840 or early 1841 and traveled to Texas by ship. Accompanying them on the voyage was a comrade from the Florida Mounted Militia, Berrian Hearne. Berrian was living with John and his family in 1850 and his name was spelled something like Berry Anne on the 1850 census. The Second Seminole War had devastated John's family and John brought what was left of them to Colorado County along with his wife and daughter. 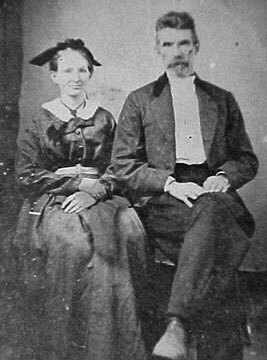 Elizabeth Suggs, a sister, married Alexander Dunlavy. Another sister, Caroline Suggs, married George Washington Guinn.